Three Kings Monument in the heart of the old city in Chiang Mai. 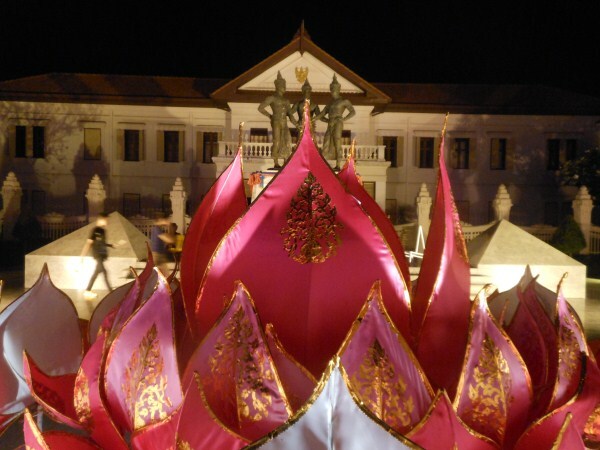 Legend tells that the three kings worked together to build the city of Chiang Mai. It is a monument worth visiting as it has become an icon of the city. Here it is seen in the backgrud during Loy Krathong celebrations! Beautiful lotus flower in the foreground.